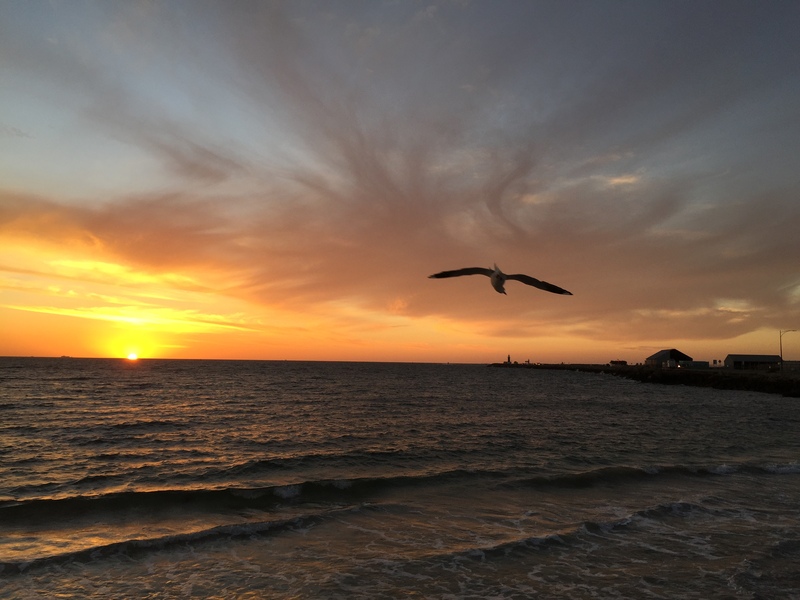 My first transcontinental journey across Australia took me to Fremantle, a port city that serves the Indian Ocean and the meandering Swan River. An Aboriginal meeting place before Western colonies took root, Fremantle’s stories are of the sea. The winds off the ocean refreshed me; I understood that wide skies and the water felt close to me in Scotland, and South Africa, and I could be at home in this small settlement on the edge of Western Australia. I was there to learn about the work of The Literature Centre, but along the way I couldn’t help but absorb the history, from prison and pioneer town to mining, fishing and shipwrecks. Beside the harbour, a memorial gleamed in the sun, sharp letters spelling out the names of lost fishermen. Whole families, generations of men with names from across the globe, the sea making no distinction between nations. The Museum’s Shipwreck Galleries sit close by, with the dredged wreck of the Dutch ship Batavia (sunk in 1629) serving as a flagship for other notable wrecks off the WA coastline. There’s only a fragment of the original ship left, but it’s enough to imagine the immense floating armoury that was heading for the VOC holdings in Java. Fishing boats and cargo liners reflect Fremantle’s industrial nature, but the town is keen to draw in tourists and locals with leisure time. 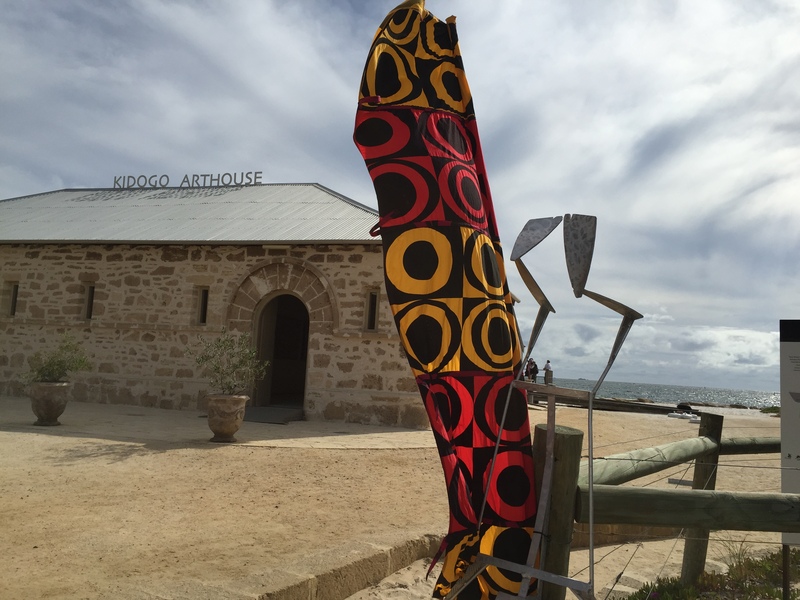 Artists’ studios sit near the shore, and the beautiful Kidogo Arthouse hosts contemporary exhibitions and private parties at the old dock’s sandstone Kerosene Store. 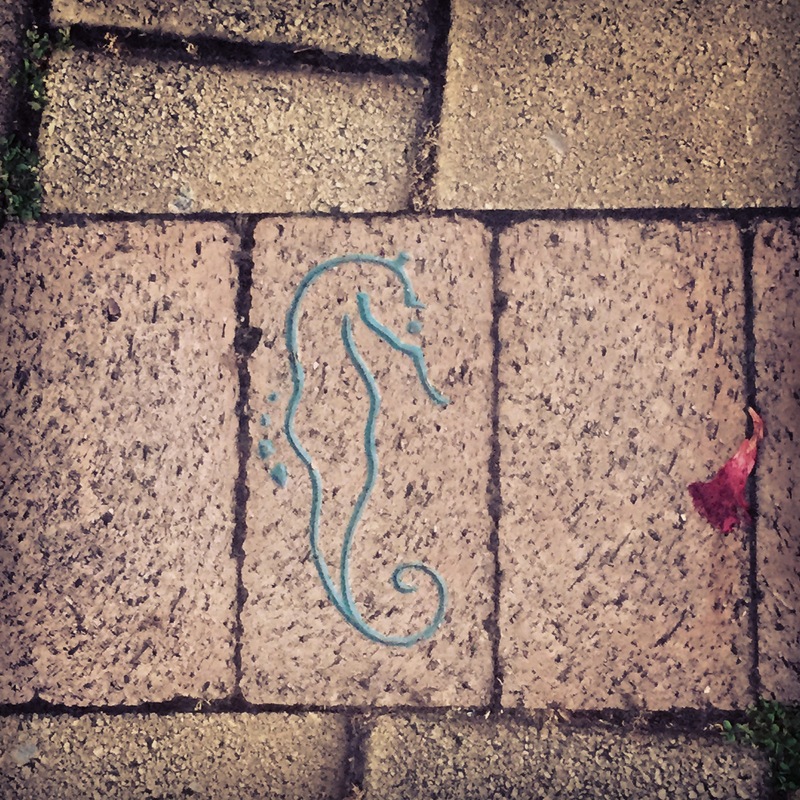 The pavements are vocal in Fremantle, quietly demanding you notice them and hear what they have to tell you. Starfish and shells lead you down to the water, while the brass inserts in the main streets shout of commerce: there is a $ in the floor of the bank, a house beside the estate agent. It’s emoticons as signage, though why Subway deserved a surfer I will never know. Along the High Street stand several stone pillars, interspersed along the kerbs. The pillars are engraved, glimpses of stories about Freo’s people, past and present: words range from the nostalgic to the slyly humorous. “The drunks bawled, and brawled, and wept, and puked” at the busy weekend bars, poetically captured and cheekily engraved beside the night taxi rank. The connections to heritage and family are strong: it’s pleasing to see a town let its many histories speak out to visitors. 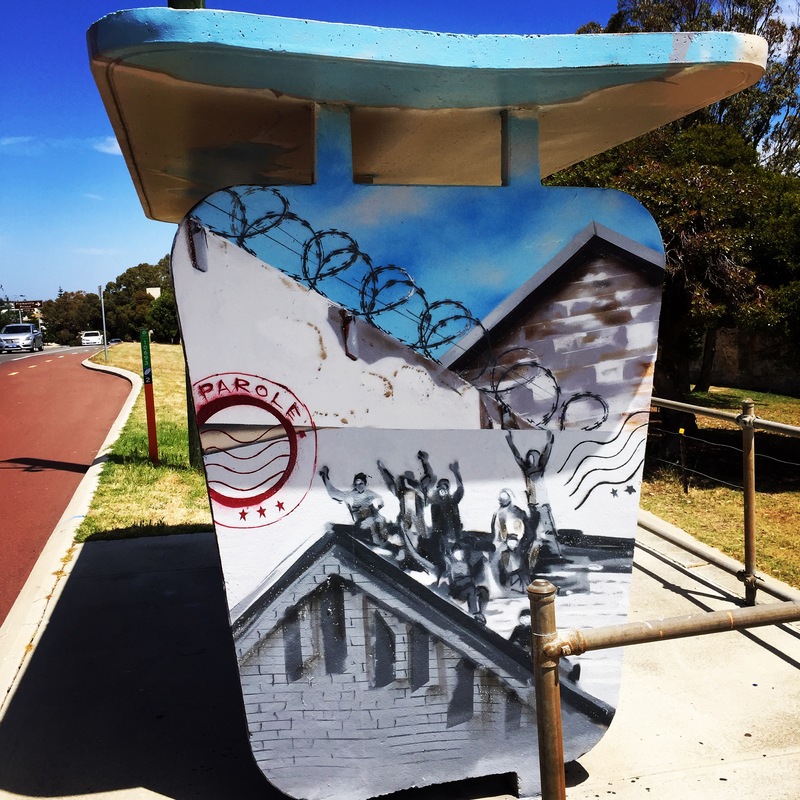 From words chalked on the street to bus shelters that honestly paint illustrate their local landmarks, you can see whey the town’s current tagline is Fremantle: Be Part of the Story. The stories I loved the most, though, were the ones that weren’t quite told, like this mysterious reference to tunnels. Thanks for all the quirk, Fremantle: I’ll be back.